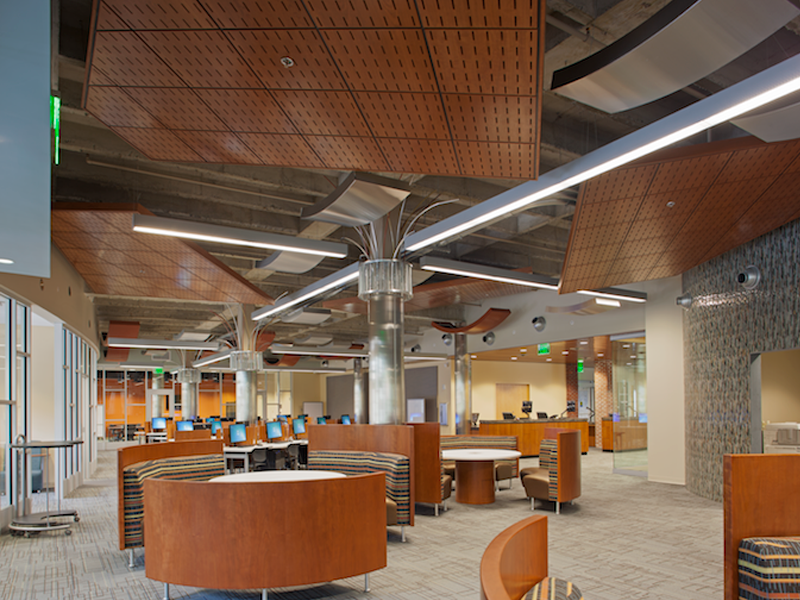 Garbutt Construction Company was hired as the construction manager to renovate the existing library space into additional administrative and storage space for the information technology department. The new space included administrative personnel areas, reception areas, technical labs, learning common and storage space for server equipment. This renovation project occurred within an occupied campus in the heart of Savannah, Georgia. The project included the latest technological elements in higher learning such as T1 learning tables, smart tvs, and work student stations with Mac and PC units. In 2013, the University System of Georgia recognized this project for its innovative and technological features.